Our Board and Train programs are one of the best routes to get your dog introduced to obedience training and work on other behavioral issues. We are proud of our most popular programs, all of which are tailored to your specific needs. Call us today at (904) 701‑2729 for your free in-home evaluation! ​Does your dog just need the basics? This training program may be just for you. Our Low Tide program is the fastest program to better behavior and is ideal for young puppies, rescued dogs, or dogs that just need a few reliable commands and an understanding of proper manners. During this program your dog is boarded at RCDT while they undergo training for impulse control and basic obedience. Trainer works your dog 3-5 times a day. Dog stays with us for 8 days/ 7 nights. Dog learns Sit/Stay, Down/Stay, Climb, Place, free and to walk on a loose leash. Program includes a “Coming home” lesson to relay training methodology. One follow up lesson to address any additional questions. ​Would you like a well-trained dog and to be part of the process? If so, our High Tide program is for you. This training program is designed for dogs over 16 weeks old and is an in-kennel training program. This is the perfect shortcut for the dog owner who wants a jumpstart on obedience training, needs a few undesirable behaviors changed and wants a deeper bond with their dog. In this program, the boarding and initial training take place at RCDT center and has follow up lessons at your location. Trainer works your dog 3- 5 times a day in-kennel for 14days/13 nights. 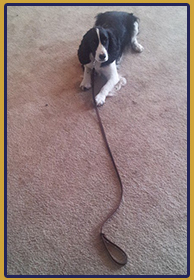 Dogs learn to Heel, Sit/Stay, Down/Stay, Climb, Place, Recall (here/come) Free, and Leave it. Behavioral reshaping to address unwanted behaviors. 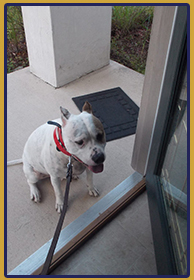 One additional “in home” lesson and two additional private lessons at River City Dog Training Center. Our premiere training package is designed for the busy dog owner. 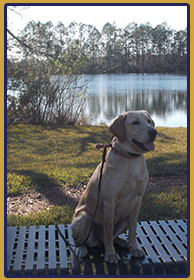 Do you desire a highly trained, well-behaved dog but don’t have the time or experience necessary to achieve reliable results? The Level 3 program was specifically created for the busy or frustrated dog owner and is RCDT’s premier obedience training package. 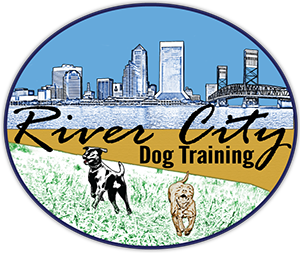 Your dog will be trained at multiple locations around Jacksonville, such as parks, stores, and around different people and dogs so they will have solid obedience in the majority of situations. This package includes our post-training support service which provides several private lessons, and unlimited phone support for the life of your dog. Trainer works your dog 3-5 times a day for a month. Dog learns to Heel, Sit/Stay, Down/Stay, auto-sit, Climb, adjust to heel speeds changes, free, leave it, out, and more when possible. Includes an “In home” lesson to relay training methodology. Also includes 2 more “in home” lessons, and 3 private lessons to be used at the owner’s discretion. Unlimited Phone support with a trainer for the life of the dog.